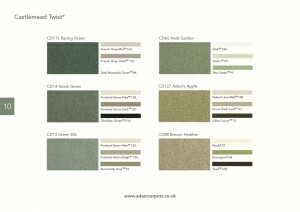 Adam Carpets are delighted to announce nine new additions to the ever popular Inspirations range. These new additions will represent nearly 25% of the total range ensuring that the colours continue to look fresh and modern. 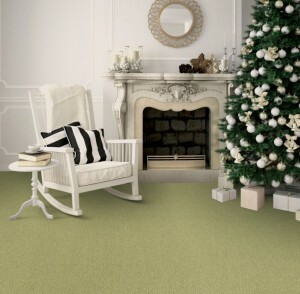 There are three new colours in total across the three designs, Dianthus, Décor and Dot. 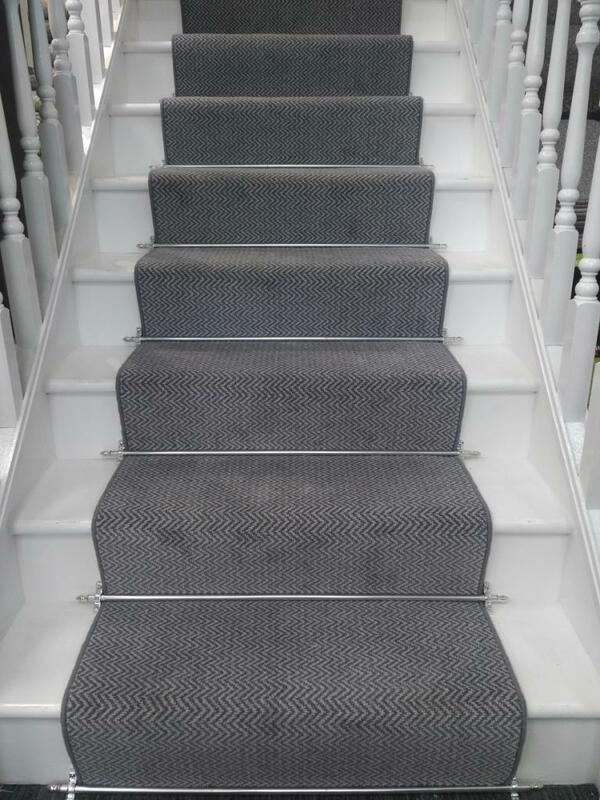 There are two new Grey tones and one Natural. 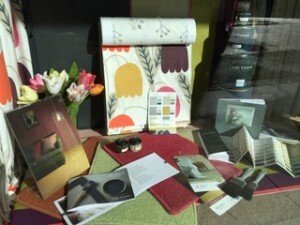 These tones are very on trend and initial feedback from the stores that have received the samples has been great. 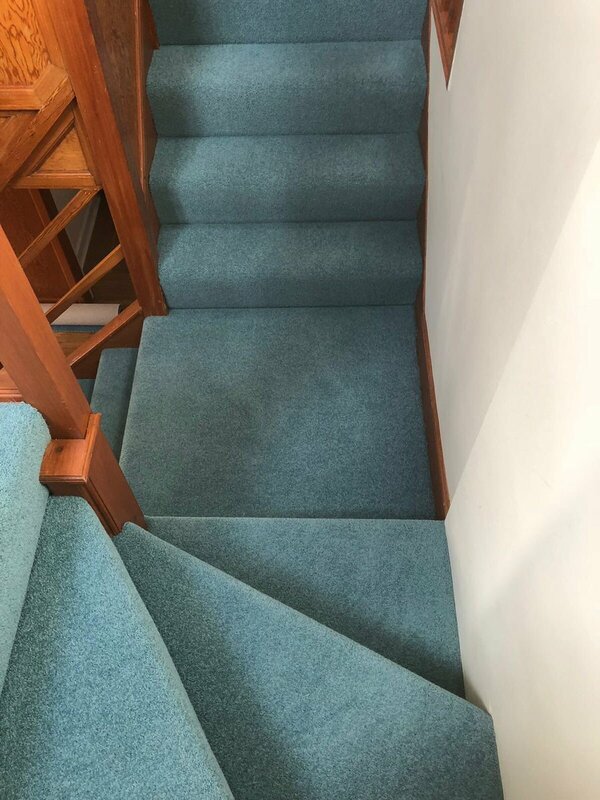 Due to popular demand we have decided to offer Flare in 5m wide along with the 4m width that it is currently available in. 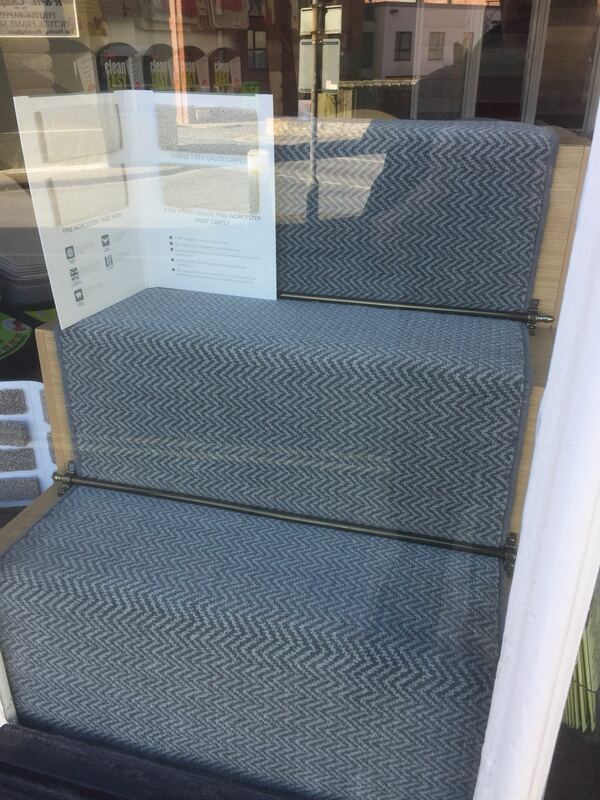 We are taking orders straight away and your Rep will amend the samples on their next call cycle. Please also note that Artistry will no longer be available 5m wide. This range will now only be available in 4m. Once again your Reps will amend your samples when they call. 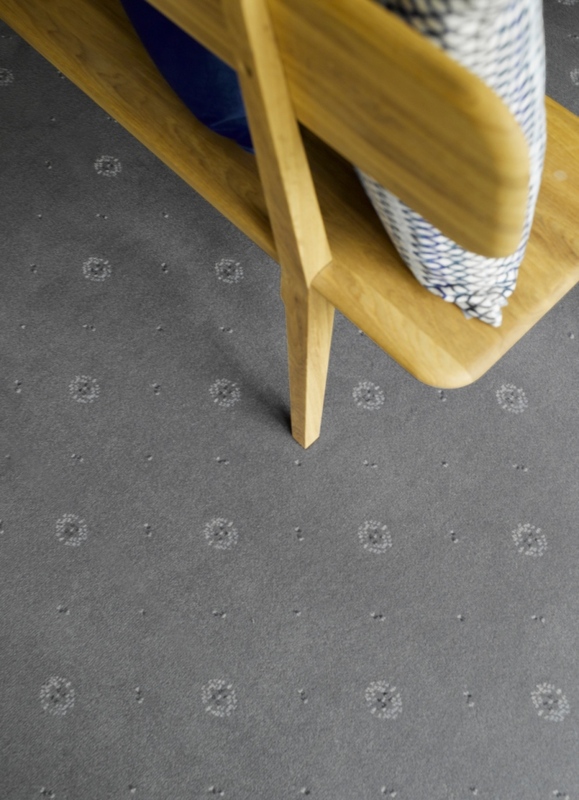 Our thanks to Graham and the team at Carpet Studio in Glasgow for these wonderful images of our Wyre Forest YR19 Sky. Flare has certainly captured the attention of our retailers as they are continuing to use the range in prominent displays. 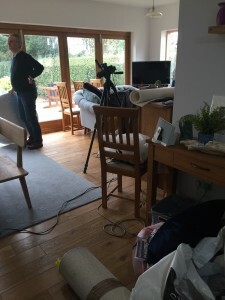 Below are some of our most recent images received from our Reps as they have called on their customers. Our thanks to Lynne at Alfred Smith in Penzance for this fabulous window combining some vibrant colour, our carpets and some Little Greene tie ins. Beautiful! 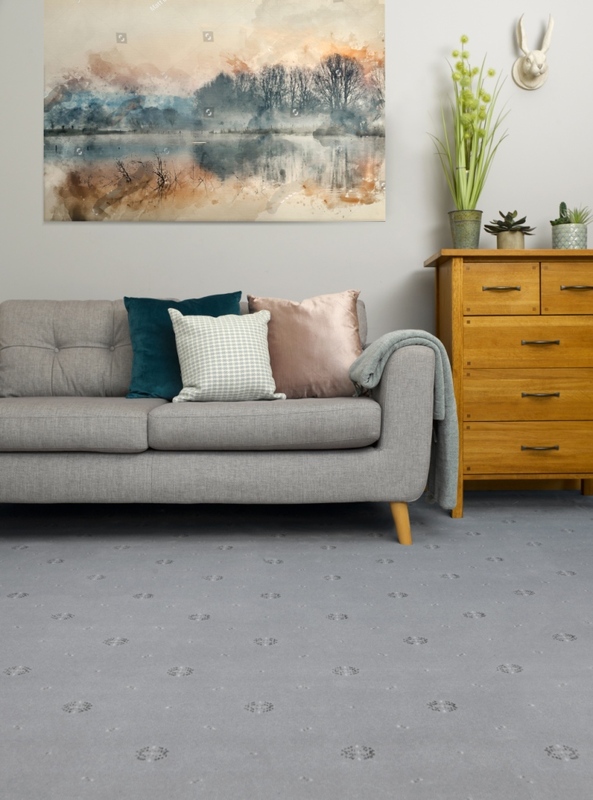 Flare sales have exceeded expectation in their first quarter of sales for Adam Carpets to say that it has been the best launch in over seven years. 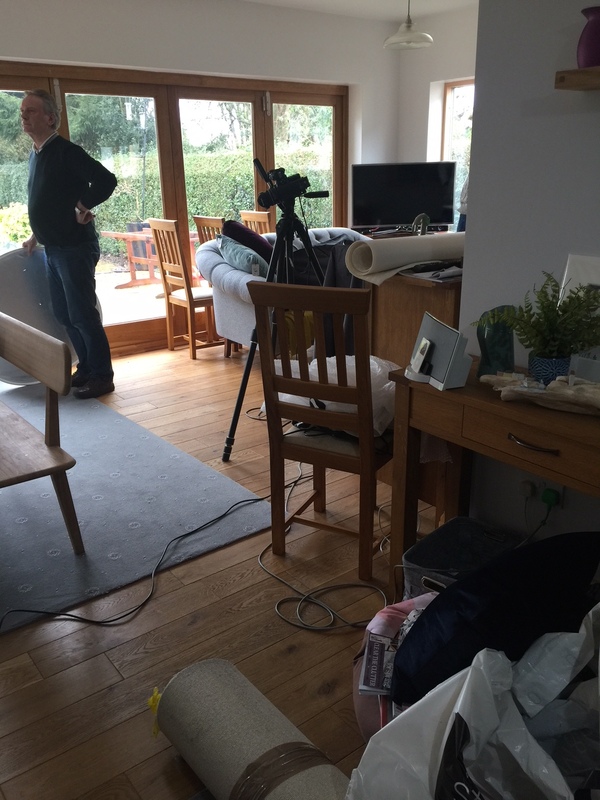 The new range has the obligatory Greys, but Eamonn has been encouraged by the sales from the other colours in the range. 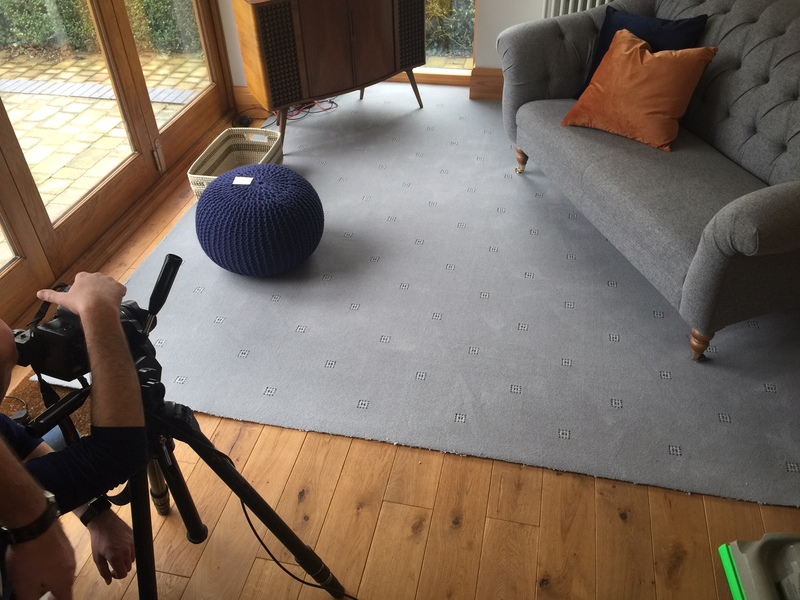 We have just completed our latest photo shoot for our brand new colours for our Inspirations range. 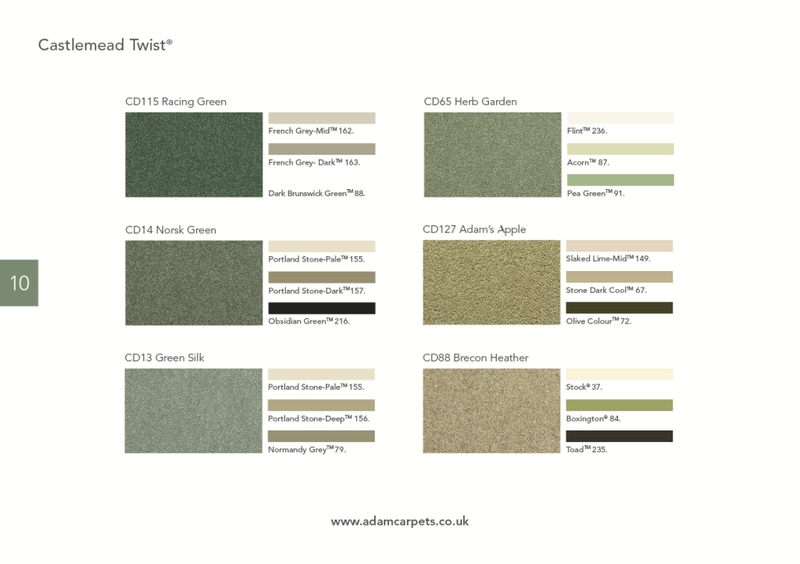 These stunning new colours will be with you over the next six weeks as our reps call on you during their call cycle. 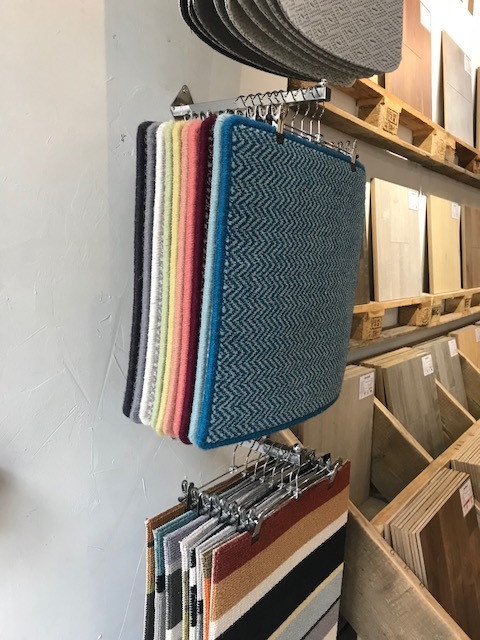 The new colours have been extensively researched and we are very excited about them from the initial reaction of those retailers who have seen them. The full hi-res images will be available in the next newsletter and will soon be shown on our social media platforms of Twitter, Facebook and Pinterest. 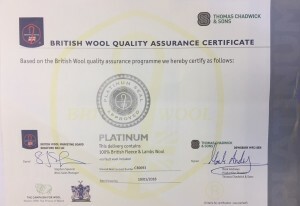 Here is our latest Platinum certificate from British Wool. 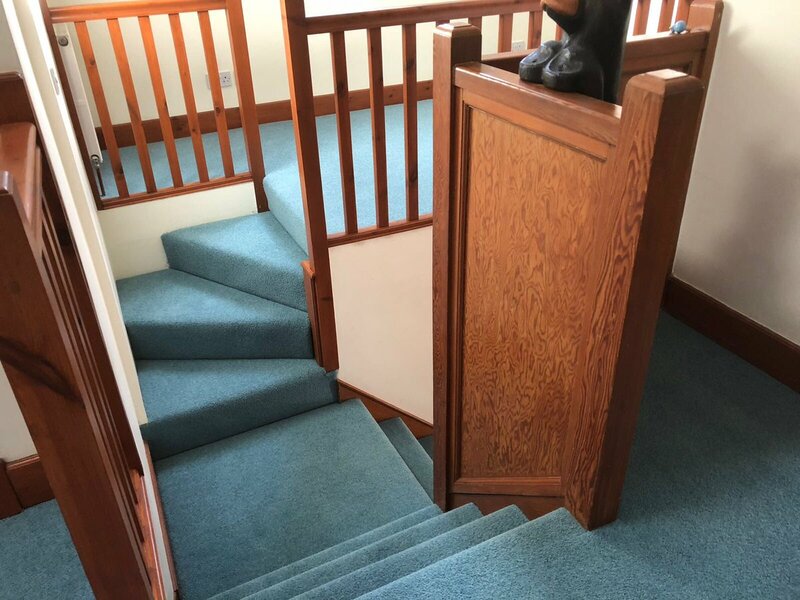 We are happy to continue to prove our commitment to the best fibre you can put into a carpet by continually publishing our latest certificates as and when they come in. 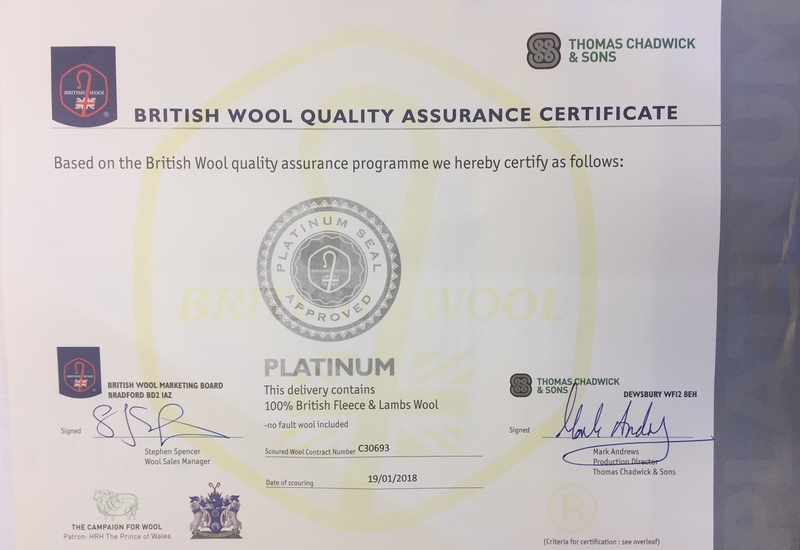 At Adam Carpets we are increasing our commitment to British Wool by increasing the number of ranges that will made from Platinum Label yarn. 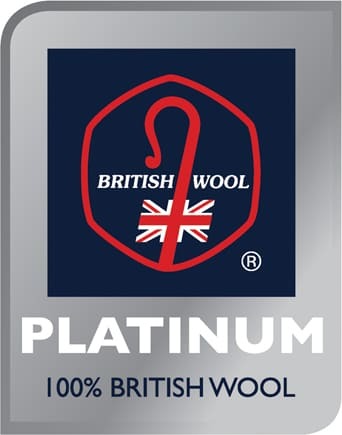 The Platinum Label not only ensures 100% British Wool in the wool content, it also ensures no fault wool is included. 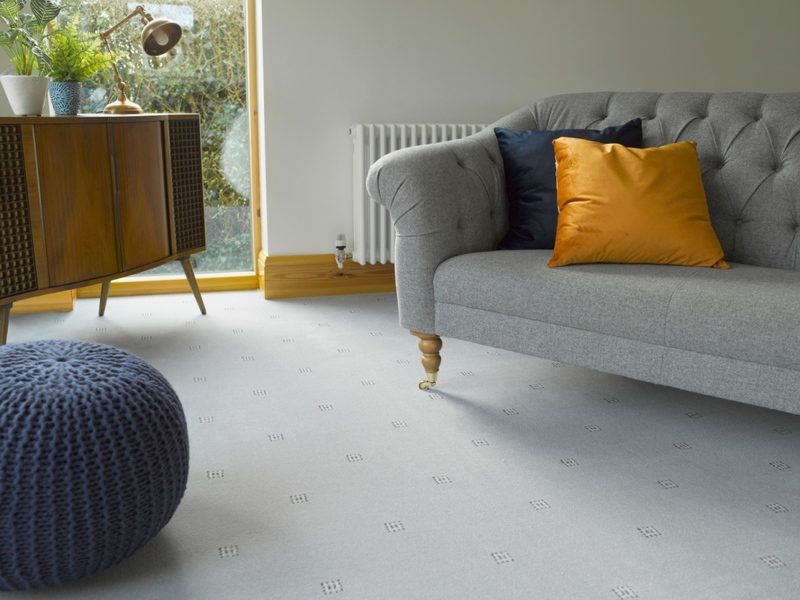 By containing 100% British Wool, Adam Carpets reaffirms its position in supporting British Farmers. 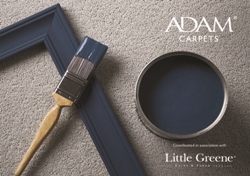 After a period of fifteen months from when the project was first talked about, Adam Carpets and The Little Greene Paint Company have officially launched their new paint and carpet guide. 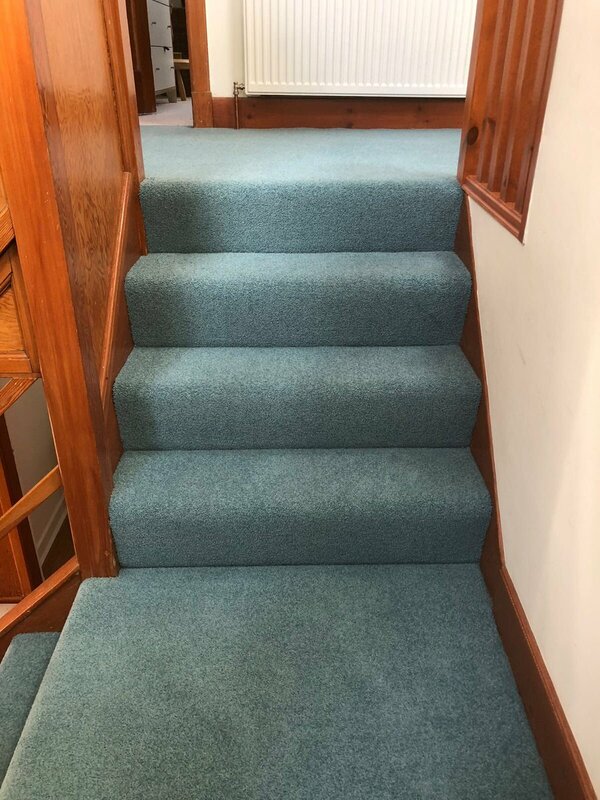 The project paused whilst first Adam Carpets (with new Castlemead Twist colours) and the Little Greene (with new New England colours) changed their portfolios. The wait was worth it though and the first guides went into stores in Scotland last week. 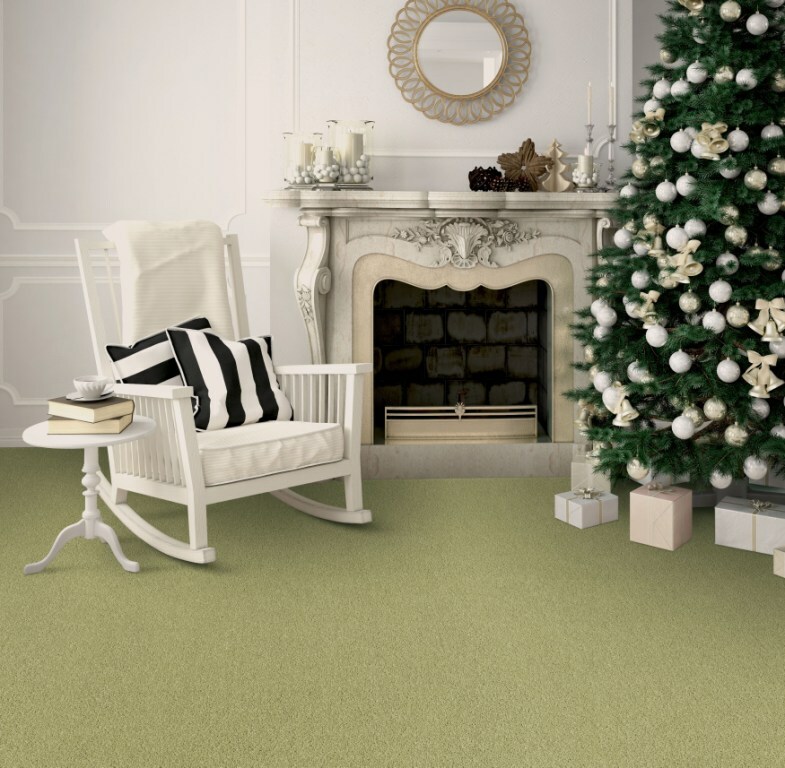 A massive thank you from everyone here at Adam Carpets for your continued support through 2017. 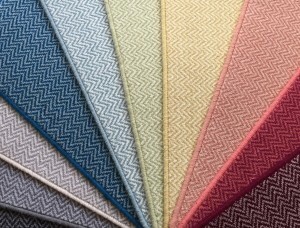 We are looking forward to 2018 with some excitement as we launch new ranges, new promotions and our Little Greene partnership. A very Happy Christmas to everyone and may 2018 be a great year for us all.